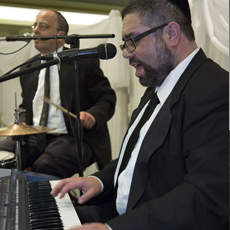 The Avi Maza Orchestra and DJs offers the finest musicians, vocalists, DJs and motivational dancers to make your Wedding, Bar/Bat Mitzvah or other function delightful for your family and guests. To learn more about each entertainer click below on the respective photo. 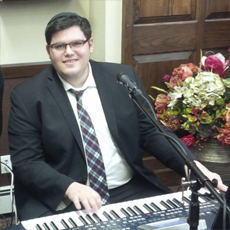 The leader of the Avi Maza Orchestra, grew up in South River, NJ, the son of a tenth generation Rabbi. Avi is a graduate of Yeshiva University where he was the lead Tenor saxophonist in the College Jazz Ensemble and where he also studied Cantorial liturgy and style under the tutelage of the world renowned Cantors, Macy Nulman and Bernard Beer. Avi honed his saxophone skills through his many years of study under the Jazz woodwind specialist, Artie Richards of Manhattan. 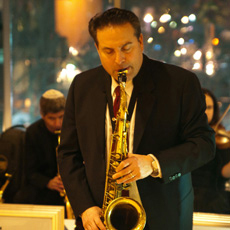 After college, Avi joined the famous New York based Ruach Orchestra, playing regularly at weddings and other celebrations. Throughout the years, Avi has performed alongside many famous Israeli and Hassidic recording artists and has toured the State of Israel with a well known Israeli orchestra. He has led performances of the Avi Maza Orchestra at the Performing Arts Center in Newark, at venues as far as Passedena, CA and San Juan, Puerto Rico, as well as at major catering halls and hotels throughout the tri-state region. 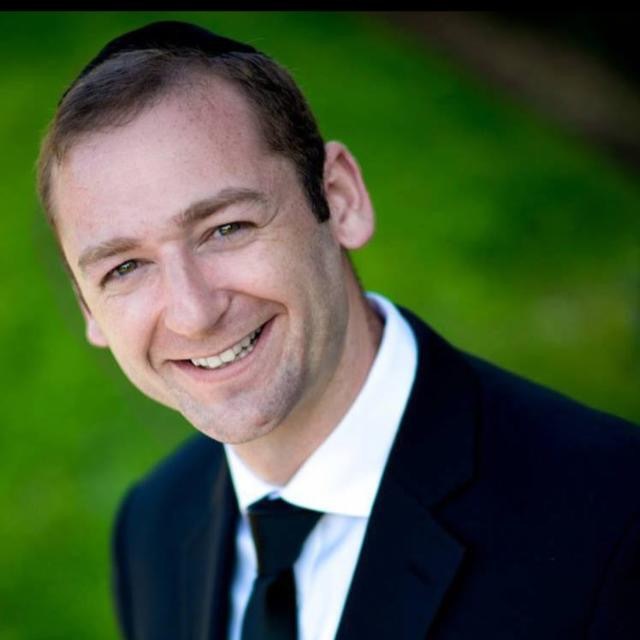 When not leading his band, Avi performs as a Cantor at major life-cycle events and has many years of experience leading congregations as a High Holiday Cantor. Avi and his wife Lauren reside in Highland Park, NJ with their 3 children, Seth, Liana, and Jessica. 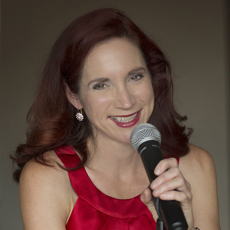 Gloria is a gifted and multi-talented vocalist with an extensive repertoire. Every style from big band, jazz, to classic rock, to the most soulful ballads are delivered in a clear and authentic manner. Her background in theater and dance comes through in her performances, exuding a bright and vivacious presence whenever she steps on stage. As a lead vocalist she has worked with many of the top entertainment agencies in New York and has performed at many elite venues including The Apollo Theater, The Plaza Hotel, The Waldorf Astoria and Merkin Hall at Lincoln Center.Gloria is also a top notch background vocalist with a keen ear for harmonies. 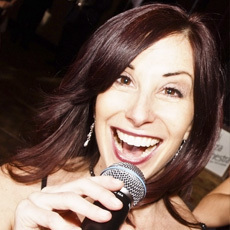 She's experienced in performing and recording with several rock and Top 40 acts including pop legend Frankie Valle of the Four Seasons, R&B recording group "Mercedes and Mink", the all girl dance band "After Hours" and can be heard on the album "Crazy on the Same Day" by folk artist David Ippolito. Rob is a consummate New York pro keyboardist and guitarist, who has worked with celebrity artists including James Taylor, Rufus Wainwright and Boaz Sharabi at a variety of popular venues such as New York's Town Hall and Bitter End as well as Nashville's Bluebird Cafe. 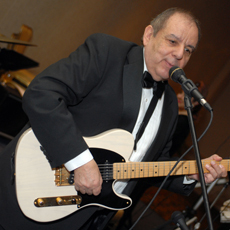 He is a dynamic performer who, besides having a huge American repertoire of today's hits and classic rock, also sings in Yiddish, Hebrew and Russian and has been the regular featured entertainment at Sammy's Romanian Steak House in the Village in NYC. 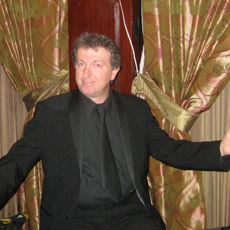 A most charismatic entertainer, Rob has wowed audiences of all ages at both our private and community functions. Michael has been a freelance musician in the NY Metropolitan area for over 30 years in the commercial and jazz fields. 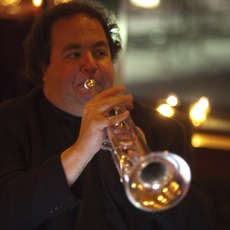 He has performed as a studio musician and is the lead trumpet player on a host of famous commercial jingles. Michael previously recorded and toured with such luminaries as Joe Jackson and locally his talents have taken him to the prominent venues of Madison Square Garden, the Beacon Theater, and the Cafe Carlyle and Birdland. 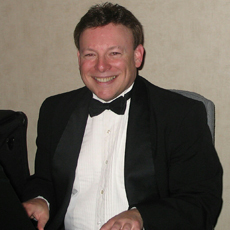 An all-around superb musician, Michael is also a piano virtuoso and musical composer and arranger. His resonant trumpet tone and wide octave range make him a unique musical performer. A premier vocalist with exceptional exuberance, Eric covers it all from the best of R & B to Motown favorites and everything in between. A graduate of Pittsburgh's, Creative and Performing Arts High School and City University of New York, Eric has shared billing with the pop singing sensations Mariah Carey, Pointer Sisters, K.C. and the SunShine Band, John Legend and most recently Grammy and Tony Award winner Billy Porter. He’s opened for such great celebrity acts including Jerry Seinfeld and Sarah Jessica Parker and has also worked with many rappers, including the group "Public Enemy". Our vivacious dance motivator CJ fell in love with dance as a young girl in a faraway land known as Oregon. CJ further developed her dance skills in Seattle where she spent quality time learning and performing with many prominent dance companies and choreographers. Now living in Manhattan, CJ is active in the NYC dance scene where she has performed on national and local television, and theaters throughout the big apple. She has been featured on Fox 5, America’s Got Talent, and has performed for P Diddy, Beyonce, and Diana Ross. When she's not wowing audiences with her dance moves, CJ leads dance classes and workshops in creative movement, ballet, tap, jazz, Zumba, musical theater, hip hop, break dance, and samba. Mike is a native of New York City and received a Bachelor of Music Degree in Jazz Studies from the New England Conservatory of Music. As a free-lance musician, he has played for recordings and live performances, including Radio, Television, and Film, and with such jazz greats as Dizzy Gillespie to Slide Hampton + The Jazz Masters. Mike has been the lead trumpeter for the Broadway bound show “Honeymoon in Vegas”, a soloist for the New Haven Symphony Orchestra Pops series of concerts and performed on the Grammy Award Winning Soundtrack for HBO’s “Boardwalk Empire.” A masterful musician, Mike is an essential part of our exciting brass section. Stan received his Bachelor and Master of Music degrees from the prestigious Juilliard School of Music. 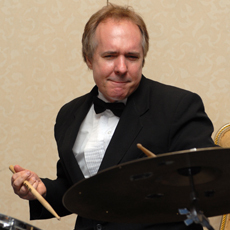 He is a member of the NY Pops at Carnegie Hall and has recorded for films by Woody Allen, David Mamet, and Al Pacino. He has played in live performances with celebrity icons Frank Sinatra, Tony Bennett, Luther Vandross, Ella Fitzgerald, and Barry White. Broadway credits include Chicago, Beauty and the Beast, and Fiddler on the Roof. 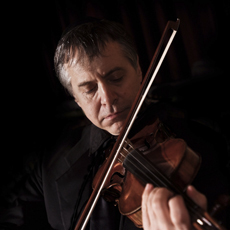 Stan is known for his extensive repertoire and skill in the classical, pop, jazz, Jewish, gypsy and international musical genres and also specializes as a strolling violinist. Cecilia is a multitalented vocalist, saxophone, flute and clarinet player. 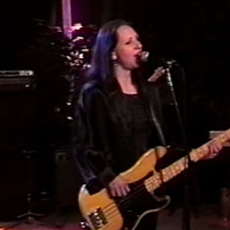 She holds a BA from Berklee College of Music and an MA from City College of New York. 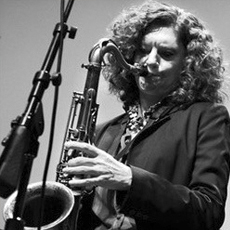 Her credits include live performances, recordings and tours with an array of internationally acclaimed stars from the Latin, Jazz and Pop Music worlds, such as Ray Barretto, Chico O’Farrill Big Band, Diva, Tania Maria, Arrow, David Kikoski, Herbie Mann, Manhattan Transfer, Bette Midler, Frank Colon, Patato Valdez and Vickie Sue Robinson. She has traveled the world, performing at some of the best known music festivals, including, New Orleans Jazz & Heritage Festival, Stockholm Water Festival in Sweden, Festival Musique de Rue in Nimes, France, St Kitts Music Festival in St Kitts, Standard Bank Jazz Festival in South Africa and the King’s Palace in Morocco. 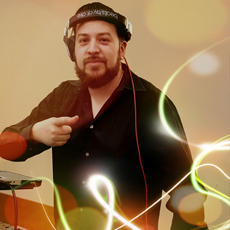 DJ Mauricio has been a working DJ for over 15 years where he has performed at hundreds of private parties, from weddings, Bar and Bat Mitzvahs, to corporate events. Music has always been his passion and Mauricio loves entertaining crowds. Mauricio is in high demand at Clubs and Bars and also hosts and spins at concerts, festivals, and every conceivable function. 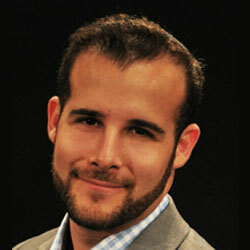 He’s very versatile and spins everything from today’s hits, Hip Hop, House, Funk, Dubstep, Rock, Soul, Simcha music, etc. Tal was born and raised in Israel where she attended the prestigious Beit Zvi School for Performing Arts located in Ramat Gan. She was selected to be a cheer leader for the Maccabi Tel Aviv basketball team and also sang and danced for popular entertainment companies throughout Israel. Her high energy dance moves combined with her radiant smile and effervescent persona, make Tal the perfect addition to your event. 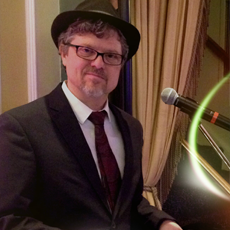 A popular wedding vocalist and keyboardist, Craig hales from Great Neck, NY. He received training in music at The Ramaz School and Queens College. As a well known A Capella soloist, Craig has been featured in concert with the most celebrated A Capella groups, including the YU Maccabeats and Six13. He brings a unique style and flair for all types of Jewish music, from Mizrachi to Chassidic and will liven up any Simcha with his musical talents. DJ Omar is a most exciting charismatic DJ recognized for his skill level, taste in music, ability to read a crowd and setting a vibe. 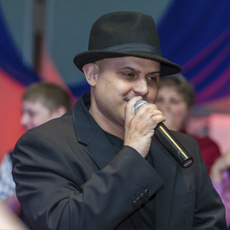 Omar is also adept at Emceeing any event and engaging all ages in great dance music and fun games. Aside from the wedding and Bar Mitzvah scene, over the years, Omar has DJ’d at all the major clubs in New York City and the surrounding area. He is familiar with all styles of music, from Pop, Classic Rock, Israeli, Latin to Sinatra and everything in between. Emcee Marco is a veteran MC with many years of experience in the entertainment industry. 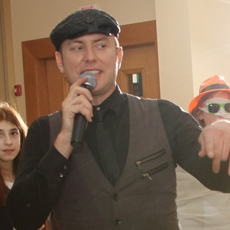 He brings tons of energy with him to every event and leaves a lasting impression with you and your guests. Marco has played at some of the area’s biggest clubs and has hosted many of their top events over the years. Marco’s well versed knowledge of music combined with his versatile and extraordinary MC abilities make him the perfect fit for any event. Shiri was born in Israel where she practiced and studied dance and music. She has performed at dance recitals throughout Israel and has taught dance to countless students. Shiri recently started her own dance troop in New York City and regularly performs at cultural festivals and other events throughout the tri state area. Shiri's dance style combines contemporary and classic dance with Mideastern influence. She is particularly skilled at leading and teaching all types of line dances and Israeli folk dances for Bnei Mitzvahs and weddings. Her beautiful singing voice coupled with her amazing dance ability makes her a great addition to our Shabbat Acappella group. 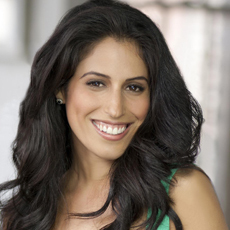 Shiri's enthusiastic personality makes her a crowd favorite at all of our events. A mainstay on the NYC music scene, Mike has toured with a host of preeminent rock bands including Aerosmith and others. As Mike entertains, if you close your eyes, you'll think Bruce Springsteen, the Rolling Stones, Maroon 5, Billy Joel and Frank Sinatra have all joined our bandstand. 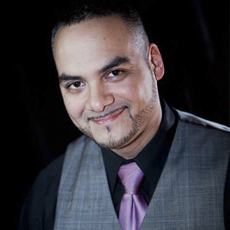 A resident of Manhattan, over the years Mike has performed with all of the major entertainment companies in the New York region and has traveled throughout the world to entertain at major corporate and society galas. Mike is also a Latin specialist adding another exciting element to our repertoire. Hailing from Washington DC where he attended Maryland University as a music major, Philip is an outstanding drummer and vocalist. He has toured and shared the stage with such greats as Pharo Saunders, Dr John, The Night Tripper, Joan Osbourn and Tanya Tucker. 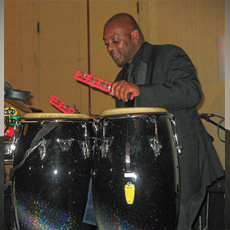 Aside from his great rendition of party favorites, Philip is an exceptional R &B and Jazz musician. 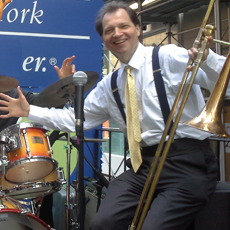 He also is a regular with many popular swing bands in the New York City area. With his exuberant personality and amazing dance technique, Jonathan electrifies the dance floor. Kids of all ages love Jonathan and adults can’t help joining in on the non-stop dance party he creates. Born and bred in NJ, Jonathan has danced his way into the hearts of crowds all over the tri-state area with a host of famous party dance troops. Jonathan’s energy is contagious making him a crowd favorite at our events. Zvi grew up in Israel and performed as a musician in the Israeli Army Orchestra. A graduate of the prestigious Berklee College of Music in Boston, Zvi has arranged, accompanied and conducted full orchestras for many reknowned entertainers and cantors, including Ron Eliran and Avi Albrecht. Zvi has also produced numerous CDs and has led a variety of concert bands, including: “The Sephardic Sole” at the LeFrak Concert Hall at Queens College. He has also led the band for the off-Broadway musical "A Jew Grows in Brooklyn". His largest work, a symphonic orchestration of Jewish music for Cantor and orchestra, was recently performed by the Baltimore Symphony Orchestra. Emcee Chris will rock your party from the beginning to end. 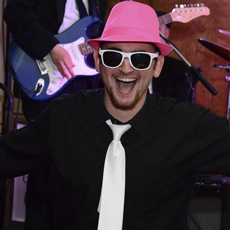 Blessed with incredible charisma, Chris has an unmatched ability to connect with guests of all ages as he leads the latest dances and most popular games. His enthusiasm and non-stop energy is contagious ensuring a great time for all! Ruthie has been dancing and singing for many years. She toured nationally and internationally in Broadway shows such as: "The Who's Tommy", "West Side Story" and "Cabaret" to name a few. 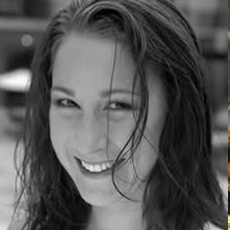 Aside from her dance skills, Ruthie is an exceptional Emcee highly capable in leading the Bar and Bat Mitzvah and their friends in any number of fun games, from Coke and Pepsi to Hula Hoops, Scavenger and much more! 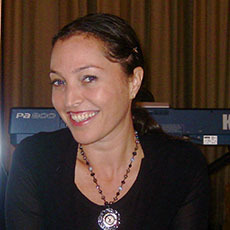 Psachya has been active in the Jewish Music scene for over twenty years. He received a classical piano education, and majored in performance at Brooklyn College's School of Music. He has played at thousands of simchas, and has accompanied most of the well-known Chassidic singers at weddings and in concert. He has performed with acts as diverse as Avrohom Fried, Eitan Katz, Diaspora Yeshiva Band, Yehuda Green, and Soulfarm, among many others. In addition to his reputation on keyboards, Psachya is a renowned accordionist and a well known Klezmer artist. 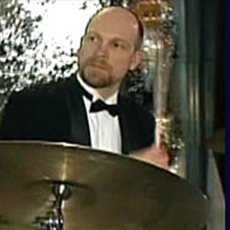 Dean hails from British Columbia and is a graduate of the Berkley School of Music where he majored in music composition, jazz improvisation, and percussion. He has toured with many musical theatrical groups throughout the United States and Europe, accompanying such productions as Chorus Line, Sophisticated Ladies, Grease and Guys and Dolls. Dean is a regular on the jazz circuit and can be heard at many of the famous jazz clubs in the East Village and throughout New York City. Elysa has many years of musical experience in the New York area. She is an accomplished vocalist, prize-winning composer (American Song Festival) and multi-instrumentalist (bass guitar, keyboards, violin, viola). She has recorded with reknowned songwriters Laura Nyro, George David Weiss and Don Covay. As a performer, she has been featured on RCA, Columbia, Atlantic Records and Koch International and has appeared in many well known venues, including Carnegie Hall. She has also written and recorded numerous commercial jingles and has served as musical director for the off-Broadway hit, "A Jew Grows in Brooklyn." Lawrence is a superb woodwind player. He plays clarinet, soprano, alto and tenor saxophones, and flute. 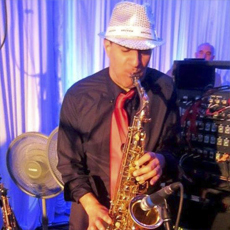 His soulful, exciting saxophone and woodwind artistry sets the mood for any party or simcha with a mix of Jewish, pop, jazz, or latin styles. Lawrence has worked with many of New York's top society bands and Jewish bands, and has toured with KC and the Sunshine Band, Gary US Bonds, Crystal Cruises and Princess Cruises. He also has performed in several major Broadway productions. Lawrence's exciting and unique style and technique adds extra spice to liven up any party. 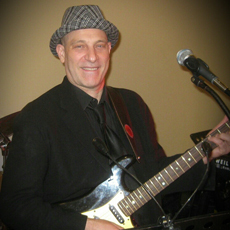 Don is an exciting guitarist with a broad range of experience in both American and international music. An amazing rock guitarist, Don has worked with many major recording artists, studio and live. He produced the CD "I've Been Around" with the legendary Ben E. King and has appeared as a vocalist in commercials for many famous corporations including Clairol, Toyota, and J & R Music World. Don has also shared the stage with many of the great Hasidic and Israeli recording artists, including Mordechai Ben David, Avram Fried, Yeedle, and The Miami Boy's Choir. 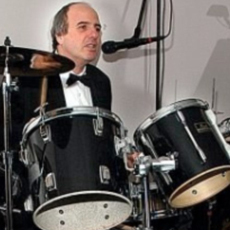 He has been a member of the Catskill showbands at many famous resorts, including the Concord hotel where he has accompanied many well known entertainers. Steve is an extremely talented keyboardist and pianist. He has performed alongside numerous celebrity artists, including Natalie Cole, the Pointer Sisters and Jerry Vale and has worked as Conductor for various Broadway productions. Steve also regularly performs in the showrooms of Mohegan Sun, Foxwoods, and at hotels in Las Vegas and Atlantic City and travels the country working as musical director at major PGA and LPGA celebrity events. He is a composer and arranger and has extensive studio recording experience, as evidenced by his credits on numerous albums. Steve's repertoire is immense covering all genres of music, from popular hits to the most obscure international and American standards. A Julliard graduate and a most extraordinary vocalist, trombonist and pianist, Sean has been playing in auditoriums, concert halls, band shells, dance halls, Broadway pits, and Broadway stages since the age of five. 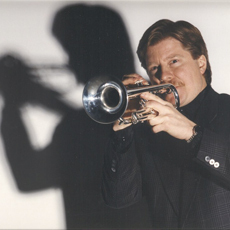 He has played trombone with the New York Philharmonic and his performances range from opera and Broadway to swing, contemporary and traditional. At Rockefeller Center's famed Rainbow Room, Sean appeared regularly as the bandleader, singing, playing and conducting for many years. He has played at such prestigious venues as the U.S. Open, Caché, Jack Rose, the Red Blazer Too, the Red Parrot, the Supper Club, and the Hideaway. David, a drummer, percussionist and vocalist, grew up in Yafo, a small suburb south of Tel Aviv where he pursued a distinguished musical career including serving as a performer in the Israeli Army Entertainment Division and playing for a variety of Israeli rock bands at popular clubs throughout all of Israel. He has accompanied many celebrity Israeli star vocalists, including Tzvika Pik, Aris San and Oshik Levi. David has an amazing international repertoire and is well versed in Israeli, Middle Eastern and American music making him a popular entertainer for audiences of all ethnicity. One of the most dynamic Jewish wedding singers, Shloime started his musical career at a young age as a soloist in the famous Miami Boys Choir and has produced his own best selling album "Avodas Hatzedaka". He has headlined in concert for such famous organizations as HASC, Chai Lifeline, Ohel and more and has been the featured show singer for a variety of exclusive Passover programs while sharing the stage with the biggest names in Israeli and Chasidic music. Shloime's beautiful voice and exciting and energetic singing style creates an unsurpassed Ruach to liven up any simcha. Joseph “Jeb” Guthrie has been singing since the age of 6 when he and his siblings began harmonizing in the back seat of their family’s station wagon. He was a member of the choir throughout his school years while at the same time performing in many Broadway productions and rock and roll bands. As an adult, Jeb’s resume includes vocal performances on TV and radio commercials, a recording contract and original compositions featured on television and in film. Jeb is a full-time musician to this day and acapella singing remains his passion. Mordy Weinstein has been a fixture of the Jewish music scene for years, currently as a member of the award-winning concert Acappella group, Six13. Through writing, arranging, producing, and managing, Mordy has traveled the world, from the US to Austria, New Zealand, and South Africa. In addition to singing, Mordy teaches music, and runs a mobile recording studio, where he works with countless musicians in producing incredible original music. He believes that through strengthening Jewish music, we can empower smaller, more remote Jewish communities around the globe. A former Miss Staten Island, Ryan Kelly's voice dazzles audiences wherever she appears. Her extensive repertoire covers all styles, including top 40, and classic favorites. Ryan's original songs have been on the Grammy ballot for Best Pop tune, and her music has been featured on various stations including Sirius XM Radio. She's appeared at famous venues from coast to coast and has had the great privilege of appearing with music sensations Chris Botti, the legendary Duprees and the late great Les Paul to name a few and has been a featured performer during the famous New Year's Eve Celebration and Ball drop in New York's Time Square. Aside from her singing talents, Ryan has incredible theatrical ability and has made TV and film appearances on ABC's All My Children, & on MTV's Parental Approval. She received her BFA in acting from Carnegie Mellon's musical theater program, is an AEA member and teaches singing privately in NYC.